Keyi family of Thalassery in Kannur may strike Rs 5000 Crore bonanza. Keyis Muslims of Kannur district are known for having immense wealth and land assets acquired during the past through trade with the English East India Company. Keyis do only marry from another Keyi family and are known for their matrilineal method of inheritance. Keyi family of Thalassery in Kannur may have struck Rs 5000 Crore bonanza. Keyis Muslims known for having immense wealth and land assets acquired during the past through trade with the English East India Company. The Kerala government has asked the centre to interfere in the matter ensuring smooth transfer of $900 million (Rs 5000 Crore)lying in the Saudi treasury for six decades. The Keyi family had been trying to gain ownership of the amount for the past ten years but little development has been made during the past. The Kerala government has appointed IAS officer T O Sooraj to take up the matter with the centre. To stake claim on firm grounds, the first step is to collect documents and later produce it before the centre while they in turn speak to the Saudi Arabian authorities. Even though, the Saudi authorities have already admitted the claim of the family, as per procedure the legal hiership should be proved. According to the history of the treasure, 136 years ago, Mayan Kutty a member of the Keyi family purchased land in the holy land of Mecca, and built a resting place known as 'Keyi Rubath' for Haj pilgrims entirely on its own expenses. The rest place had been used by pilgrims from the Malabar region for around 6 decades before it was demolished by the Saudi authorities as a part of modernizing the holy city. A compensation 1.4 million Saudi riyals (500 Crore) given for the acquired property was kept with the Saudi treasury as Mayan Kutty died during the time and no one from the Keyi family has been able to claim the money producing proper records. Only three families in India Nizam of Hyderabad and Nawab of Arcot and Key family did own properties in Mecca. 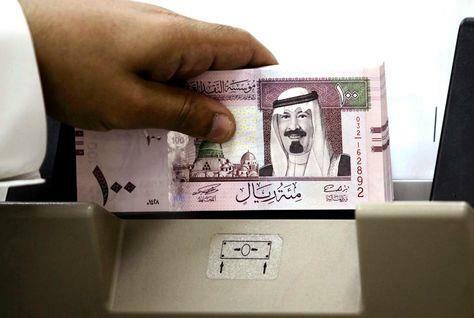 According to the current estimates, the deposit with the Saudi treasury would now be worth more than Rs.5,000 crore (about $900 million). The Saudi government wishes to use the money to build residential properties for accommodating the pilgrims who arrive in the holy land. Even though the Keyi family has been trying to claim the money from 2001 when A.K. Antony was the chief minister, things did take a moment but was not much enough to convince the authority. As the present Oommen Chandy government has now appointed a special officer to connect with the centre and concerned departments, it is expected that a positive step would be taken regarding the transaction.